Highly esteemed Canadian DJ/producer Ryan Hemsworth will be returning to Singapore for a set at Phuture this month. He last performed in Singapore at Moonbeats Asia's, which is also ushering him this time round, inaugural Xmas party in 2017. This time, he will be joined by .WAV(Y)'s hip-hop maestro PRAV and Zouk resident DJ Zushan. Prepare for a night of genius audio mix-mastery from the man who has produced for Tinashe, Mitski and Tory Lanez, among countless others. 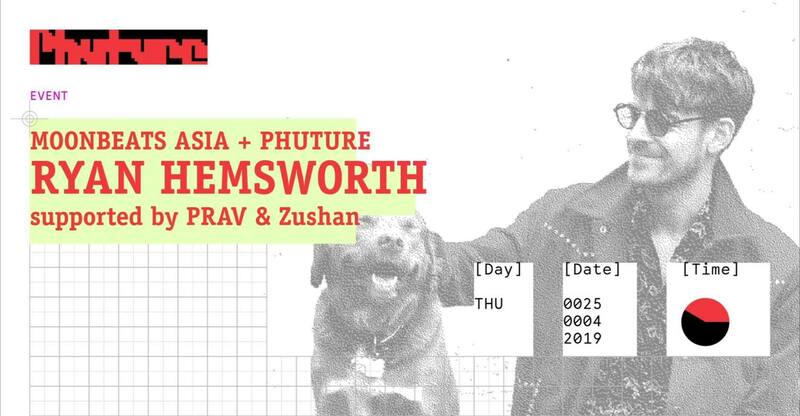 Ryan Hemsworth will be spinning at Phuture on Thursday, 25 April, from 10pm onwards. Tickets, $20 and $25, are available here. Alternatively, tickets at the door for $30 will be sold on the day itself. Stream Hemsworth's latest album with Yurufuwa Gang below.